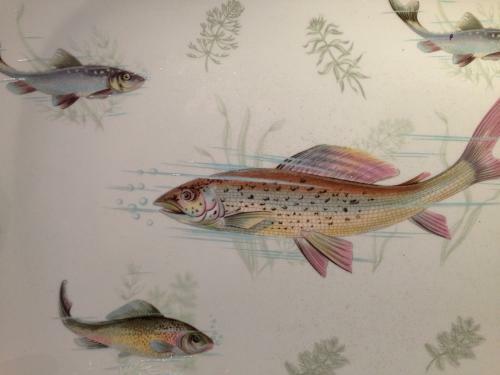 Antique Fish Plate. Not quite sure of age as unmarked but I would guess somewhere around 1920/1930. Probably used to serve a Fresh Trout. Good handpainted detail.